On top of the outstanding speaking line up, interactive industry workshops and panel discussions, we've got a range of one to one clinic sessions to help your food business scale fast. Most of these are located in the Marketplace area. For activities that require advance booking, please make sure that you reserve your slot as soon as you've got your ticket as it's first come, first served. Please note that you must have a ticket to Bread & Jam to take part in these opportunities. Bolst Global support ambitious health food and drink brands to export and grow globally through our market access programmes and outsourced export management services. If you're ready to talk export and want one on one advice make sure you sign up for this clinic using the link below. Seedrs are Europe's largest equity crowdfunding platform. They help finance your business using the power of the crowd. Seedrs are offering a chance for one on one slots to discuss seed funding opportunities and strategy. Make sure you sign up for your slot using the link below. 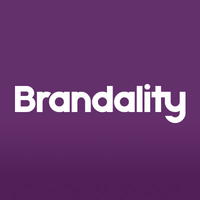 Brandality are offering a great opportunity to have your branding and packaging issues resolved by their expert team. They are a branding and packaging design agency specialising in brand creation and revitalisation, having worked with brands like Mama Eti's, Lyons Seafood Co and more. Bring your branding and packaging issues and a Design ID expert and a Packaging Strategist will review and analyse them for you. Charlotte is ready to share plenty of PR advice and practical tips to help your fabulous food brand stand out from the crowd.